Using social media sites as recruiting tools is an increasingly common technique. The target audiences in these initiatives are generally passive job candidates who are already employed. Many companies are finding that seeking out this particular group of candidates gives them a competitive edge in recruiting. Why Are Passive Candidates Now Sought After? Millennials represent a sizable 33% of the United States workforce. The internet, mobile devices, and social media are all facts of life for this generation, providing a go-to outlet for everything from shopping to job hunting. Reaching these individuals requires a shift from old techniques to a more social-media driven method of finding new talent. Transitioning to social media recruiting techniques has opened the door to passive candidate acquisition. At any given time, about 60% of the workforce is employed and not actively job hunting but willing to discuss options. This pool of potential represents a fantastic opportunity for recruiters looking to score exceptional talent. One of the benefits of reaching out to passive job candidates is decreased competition; it’s less likely that these individuals are interviewing with other companies, which provides an instant advantage. Additionally, negotiations tend to be more relaxed, giving both parties a chance to feel out the chemistry before making a decision. Why Use a Recruiter to Reach These Candidates? By using the social media recruiter, you can target potential employees by specific skills and specialties rather than sending out job listings and waiting to see what comes back. This process can easily result in wasted time or missteps among untrained teams. Passive candidates haven’t expressed interest in the given company, making it important to proceed with the up-most in professionalism and caution. 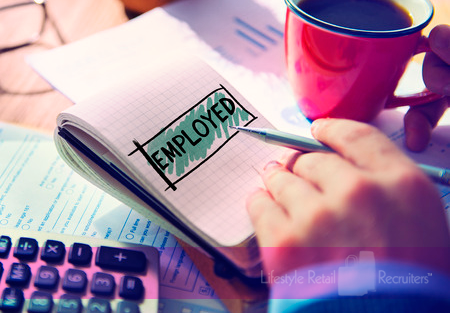 Lifestyle Retail Recruiters helps find passive social media candidates through an experienced eye, refined searching, and practiced communication. In this relatively new subsection of recruiting, it can be easy to get sidetracked or wind up entertaining the wrong candidates. Trust your professional recruiter to leverage all the benefits of connecting with passive job candidates. In the next chapter, we’ll explore the growing importance of mobile-friendly recruiting.